River Rafting Adventures on the Orange River is rated one of the top ten adventures in South Africa. We invite you to join our team at Umkulu Adventures on an unforgettable outdoor rafting adventure. Our area of operations is the Orange River and Richtersveld National Park. River Rafting Adventures in the Richtersveld is unique in the sense that it is in the desert. The only river rafting adventures on offer in a Desert in South Africa. We make use of two-person inflatable rafts. Our equipment is of the highest standard available in South Africa and is SABS approved. The river crew has been trained in-house and is regulated by the African Paddling Association of Southern Africa. Our passion is an adventure, and our desire is conservation. We urge all paddlers to support our conservation initiative of the Orange River. The 2 Day Wet & Wild is the perfect weekend adventure get-away filled with unforgettable experiences and suitable for the whole family. 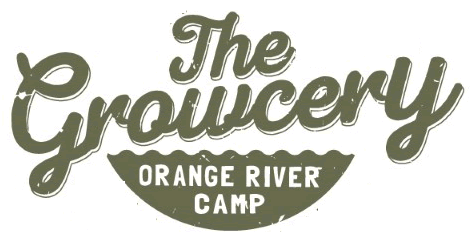 A Orange River Rafting Adventure designed around the budget conscious student. Bring some friends and enjoy the best the Richtersveld has to offer. This 4 Day Orange River Adventure is rated the best adventure trail in the Northern Cape. Explore the Richtersveld on an ultimate river adventure. Bring the family on one of Southern Africa's iconic family adventures. Paddle through breathtaking mountain scenery and camp wild under the stars. The 5 Day Transfrontier Rafting is suitable for adventure travelers. Discover the river less paddled this season and escape into the wild Richtersveld. The 6 Day Orange River rafting Adventure is the ultimate paddle on the Orange River. This trail os perfect for the adventure seekers that enjoys nature. Escape into the Wild is part of our Wet & Wild collection combining the Richtersveld with the Orange River. It's a great entry level adventure. The Full Day River Rafting Adventures are suitable for all travellers. This is the perfect way to explore and relax along the Orange River. Book Now. Half Day Rafting Adventures are available on the Orange River near Vioolsdrift. Book your rafting trail when visiting the Growcery Camp near Vioolsdrift. This Orange River Fishing Trail will explore the wild parts of the Richtersveld. This area is known for largemouth and smallmouth yellowfish. Orange river kayaking is the perfect trail for adventurous travellers that seek to explore the river less paddled. The perfect desert adventure.